Taking its cues from the Caliber RM 016, the Ladies watch Richard Mille RM 007 now takes its turn, becoming available in a Titalyt® version. A process of titanium oxidation by electro-plasma improves the strength of the metal, and consequently its ability to resist scratching, wear and tear, and corrosion, according to Standard AMS 2488D. The bio-compatible treatment is applied in some of the most cutting-edge sectors, from automobile racing to the aerospace industry to high-tech medicine. 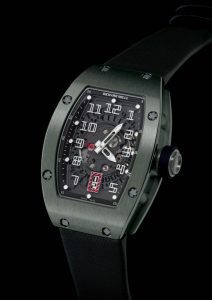 Thanks to this material, unseen in watchmaking prior to the release of the RM 016 Titalyt®, the RM 007 gains greater strength and elegance, and proves once more that Richard Mille has devoted a prominent place in his collection to Ladies watches. The RM 007 Titalyt®, with its balanced blend of the highly technical and the aesthetic, is indeed a sumptuous addition to a Ladies collection containing numerous versions of the Caliber RM 007 as well as the exceptional Tourbillon RM 019, released in 2009. 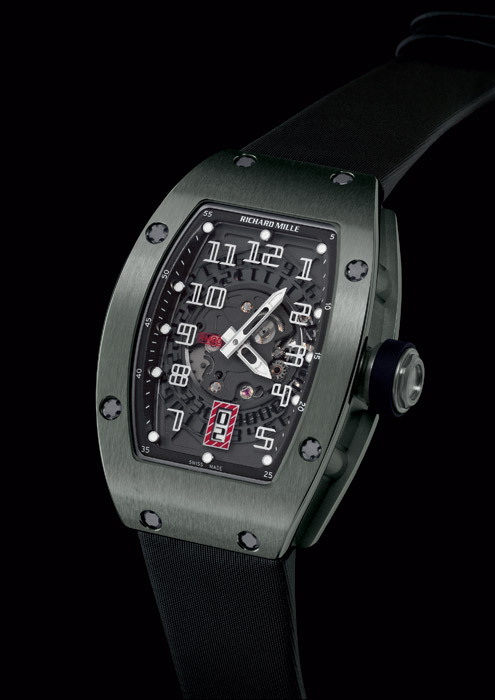 RM 007 Titalyt®: automatic winding movement with a rotor in titanium and tungsten carbide.